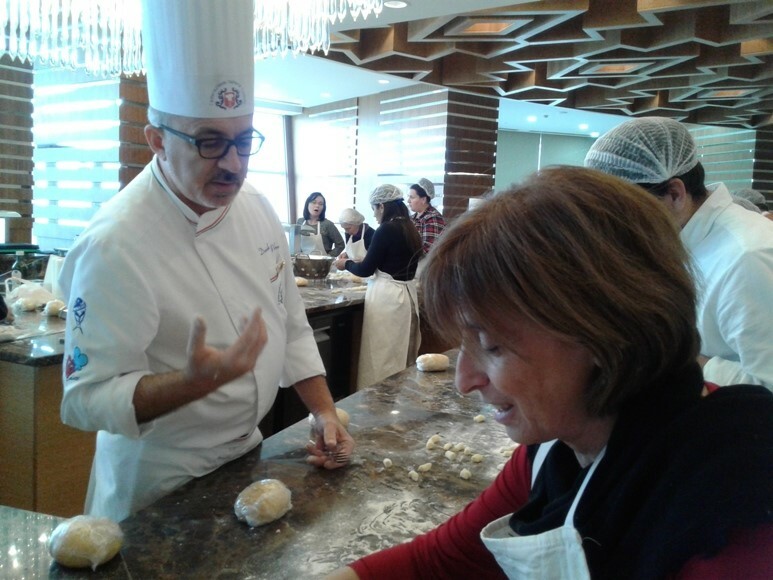 Ashgabat, 24 November 2016—The Embassy of Italy, in collaboration with hotel “Yyldyz”, organized the “First Italian Cuisine Week in Ashgabat”. From Sunday the 20th till Wednesday the 23rd of November, two Italian chefs from the “Italian Federation of Chefs” performed Master Classes to show how to cook genuine and simple Italian dishes, along the best gastronomic tradition of “Made in Italy”. Students of the Italian language and culture at“Magtimguly” University and at Professional Institute of Turkmensitan for…., actively participated in the Master Classes, together with spouses of Ambassadors and Responsibles of International Organizations here accredited and of the Business Community of Ashgabat. 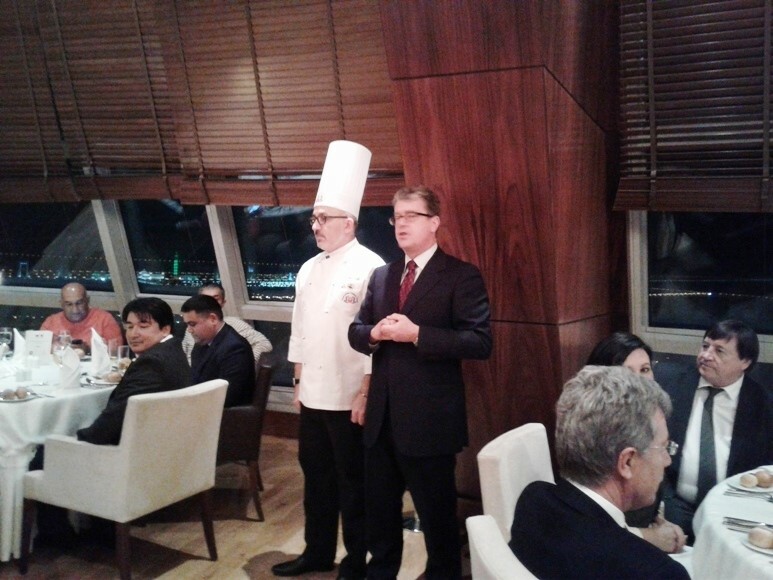 In the evenings, special Italian menus were prepared and served at the restaurant on the 18th floor of “Yyldyz” hotel with the participation of Turkmen Government and Business Community representatives and the Diplomatic Corp accredited in Turkmenistan. 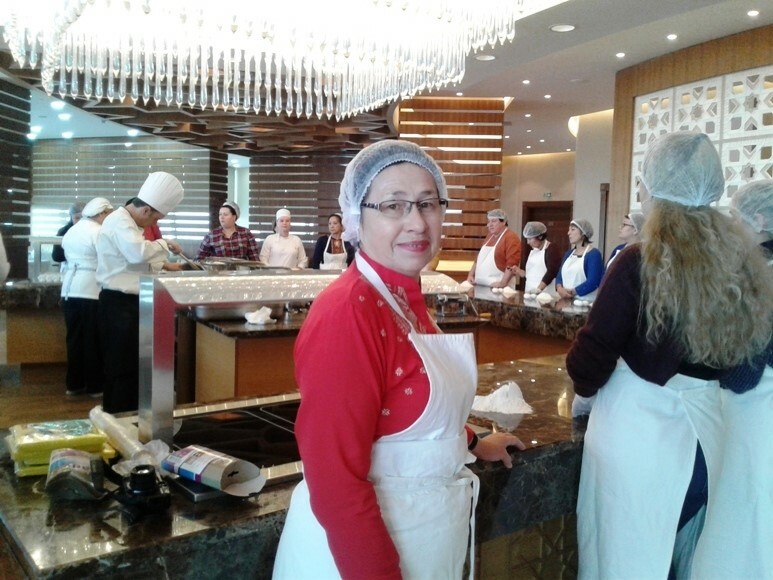 The main target of this initiative was to show how to cook Italian dishes with ingredients that can be found also in Turkmenistan and are quite simple in their preparation, so that they can be easily introduced in the daily diet of all Turkmen families. During the same day of the “First Italian Cuisine Week in Ashgabat” an Italian jewelry exhibition also took place at the “Yyldyz” hotel, showcasing another field were Italian tradition of high level craftsmanship is globally renowned.